You will Watch One Piece Episode 480 English Dubbed online for free episodes with HQ / high quality. Stream anime One Piece Season 14 Episode 22 Each on Different Paths! Luffy vs. Garp! Garp faces off with Luffy and thinks back to when he trained him so that he could become a Marine and stay on the right path. Luffy and Garp throw punches at each other, but Garp hesitates and Luffy knocks him off the bridge, defeating him. 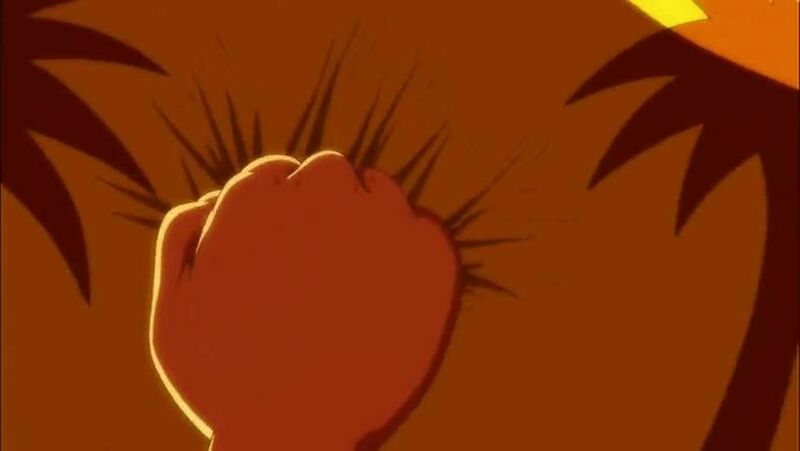 Luffy reaches Ace, but Kizaru destroys his key with a beam of light and Sengoku transforms into a giant golden Buddha. Mr. 3, disguised as an executioner, comes to, and uses his powers to create a copy of the key and unlock Ace’s shackles as the platform collapses and the Marines open fire on Luffy and Ace. Ace, now released, uses his flame powers to protect Luffy and Mr. 3 from the barrage. 5 / 5 - 86 ratings.